Facilities inside the camp are basic with few furniture and traditionally decorated interior. This camp is basically a part of eco-tourism initiative which is directed towards developing the underdeveloped regions maintaining the ecological balance of the environment. The basic amenities may remind you of the lifestyle of our ancestors. 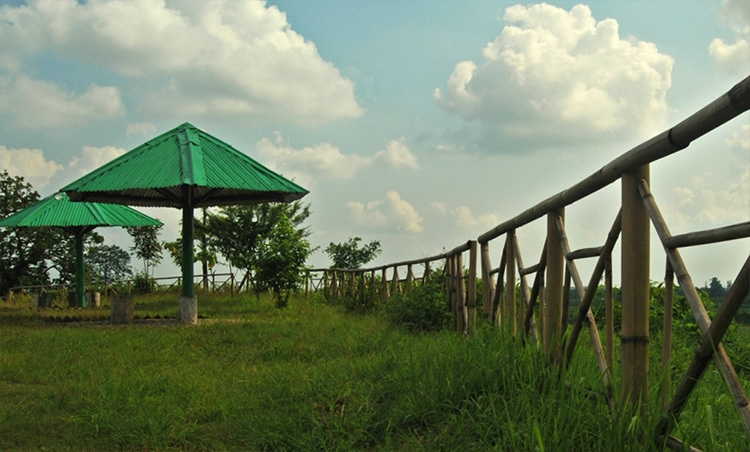 There are 2 types of cottages available for visitors which require advance booking from the office of forest department. The rent for 2 bedroom cottage is 2500 INR and 3 bedroom cottage is 3000 INR including food and a safari to the Chapramari Wildlife Sanctuary. The food is prepared with local agricultural produce and fish/chicken. You will be served with tea also which is of high quality due to the presence of sprawling tea gardens in the region producing top class tea. 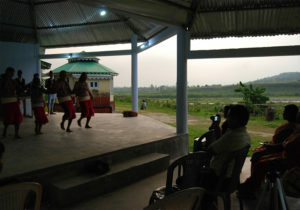 In the evening you can enjoy the tribal dance near the camp. 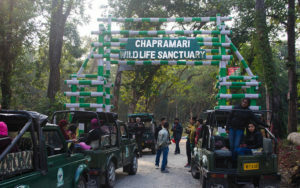 The most exciting part of living in the camp is the safari to Chapramari watchtower exploring the wildlife sanctuary in general. 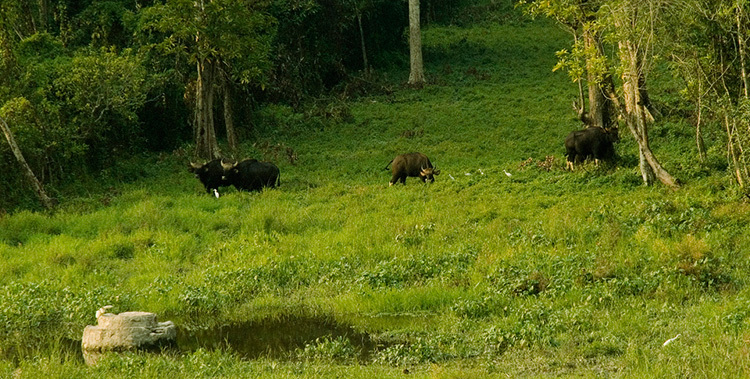 Since Chapramari is a part of Gorumara, it shares the variety in flora and fauna. 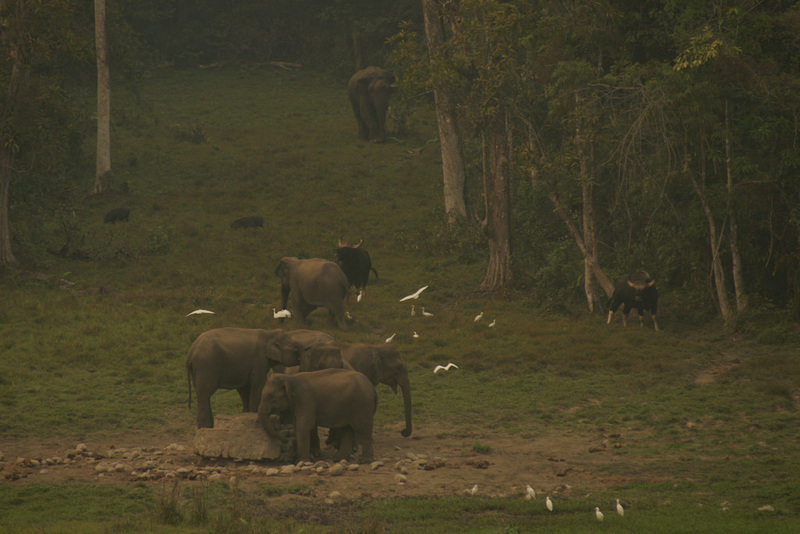 Elephants, bisons, rhinos, deers, boars, leopards and various species of birds and reptiles can be spotted here. Green pigeons, parakeet, hornbill, snipe, wild fowl, kingfishers and parrots are abundant in the region. 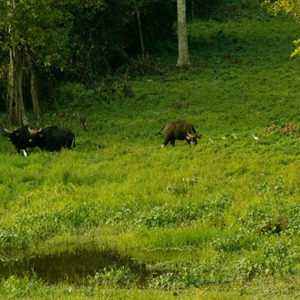 If you are lucky enough you may spot a tiger as well since this sanctuary also preserves a small number of Bengal tigers. The watchtower is the vantage point from where you will be able to view the vast stretch of deep forest and occasionally the animals also. The forest is full of trees like Sal, kawla, Chilauni, Jarul and Lali. Hila and Jiti tea gardens are also visible from the watchtower. If you are traveling by train, get down at New Jalpaiguri, or Mal station and hire a jeep/cab to reach Chapramari. Bagdogra is the nearest airport. 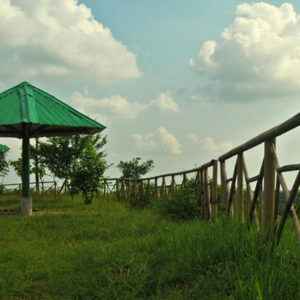 However, tourists visiting Dooars prefer to drive through the NH-31 Highway to reach Chapramari enjoying the natural abundance throughout the road. From Khunia crossing you have to travel another 4 kilometers towards Jhalong to arrive at Chapramari. 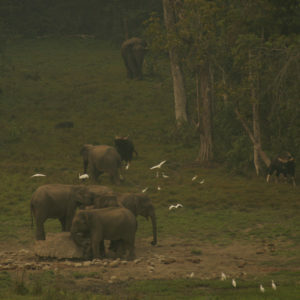 Accessing the camp from Siliguri is only 2 hours drive. 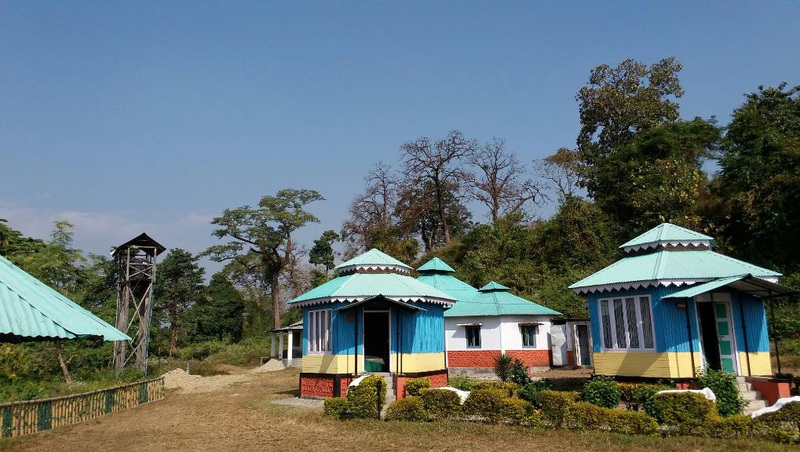 Chapramari is only 10 kilometers from Chalsa and 35 kilometers from Gorumara National Park. The sanctuary and the camp remain closed from15th June through 15th September. This entry was posted by indispottravel in Dooars in West Bengal, Forest Bungalow in West Bengal, Jungle Safari in West Bengal, National parks and wildlife sanctuaries in West Bengal, Weekend Destination around Kolkata, West Bengal, Wildlife in West Bengal and tagged accommodation in Chapramari wilderness camp, attractions in Chapramari wilderness camp, bisons in Chapramari wilderness camp, boars in Chapramari wilderness camp, Chapramari Watchtower, Chapramari watchtower location, Chapramari wilderness camp, Chapramari wildlife sanctuary in Panjhora, closing time of Chapramari wilderness camp, cost of Chapramari wilderness camp, cottages in wildlife, deers in Chapramari wilderness camp, distance of in Chapramari from Chalsa, distance of in Chapramari from Gorumara National Park, distance of in Chapramari from Jhalong, distance of in Chapramari from NJP, distance of in Chapramari from Siliguri, dooars in west bengal, dooars jungle cottages, dooars wildlife cottages, doors north bengal, dours tour, eco-tourism in dooars, eco-tourism in north Bengal, eco-tourism west bengal, Elephants in Chapramari wilderness camp, Forest, Forest Department jungle camp, hotels in Chapramari wilderness camp, how to go to Chapramari wilderness camp, how to reach Chapramari wilderness camp, jungle, jungle camp staying options, leopards in Chapramari wilderness camp, north Bengal, north Bengal wildlife cottages, rhinos in Chapramari wilderness camp, room rent in Chapramari wilderness camp, rooms in Chapramari wilderness camp, staying options in Chapramari wilderness camp, staying within wildlife, tiger in Chapramari wilderness camp, tribal dance near the Chapramari wilderness camp, when Chapramari wilderness camp is closed., wildlife sanctuary.